A/B testing feature in PopUp by Supsystic allows you to test two versions of popup, compare the stats and decide, which one you’d like to use on your site. For example, you consider changing main button color and size will positively affect your conversion rate, so, you try old and new variants, and the system shows you differences in conversion in graphs. A/B is one of the easiest ways to increase conversion rates and learn more about your audience, but it is still underutilized by many otherwise very switched on, online marketing professionals. This often happens because any form of testing is wrongly assumed to be very technical, time-consuming and difficult to implement; however, this is just not the case. Such testing is a simple way to test changes against the current design and determine which ones produce positive results. It is a way to figure out that any new customization or change to your site (for your PopUp, in our case) is growing your conversion rate before you implement the change to life. 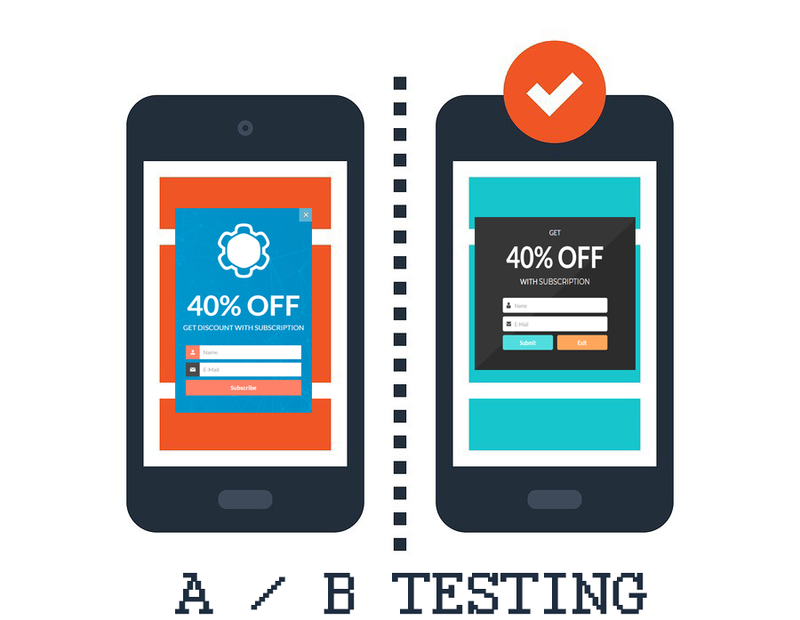 A/B testing does pretty much what the name suggests, it tests a control, version A, against a different version, version B to measure which is the best due to the metric you are checking out. In the online world, A/B testing allows you to split traffic on your website so your visitors will experience different popup content on version A and version B of a page while you monitor visitor actions to identify the one that gives the highest conversion rate. By testing with live visitors on your site you learn from real users which UX they prefer.